Ordinary oven: equipped with ordinary liner, the heat can not reach all corners of the furnace cavity, and the large pieces of meat are easy to be cooked outside. Our KUPPET oven: equipped with reflective cavity plate, 360 degree 3D multi-flow circulating hot air, evenly baked food without dead ends! Ordinary oven: ordinary tempered glass, hot air causes the glass to be blurred, and there is a risk of breakage when baking at high temperature for a long time. 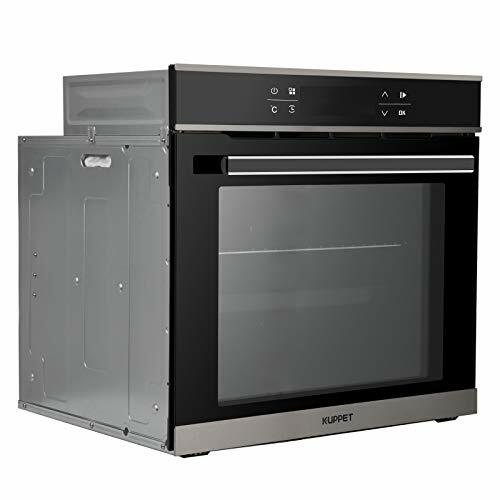 Our KUPPET oven: After tens of thousands of explosion-proof experiments, we developed high-temperature-resistant glass-ceramics, which can observe the internal progress of the oven in real time, and no need to worry about the safety during use. 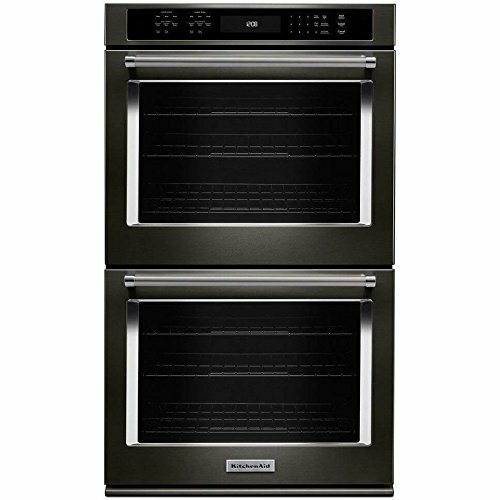 ➤ Multi-Function Oven – With 10 different functions, including preheating, baking, baking, convection, roasting, convection, etc. You can use it to bake cakes, cook pizza, cook fish and meat, barbecue, The KUPPET oven is powerful enough to meet your needs and is ideal for all spaces in business, kitchens, apartments and family homes. ➤ Easy to Use – Three knobs for easy baking, you can choose different modes, and simultaneously twist the time and temperature buttons to select the time and temperature required for cooking, a delicious cooking will come soon. ➤ Large Capacity – 75L large capacity, can carry two layers of food at the same time, to enjoy the family together; two layers of baking trays are baked at the same time, each baking tray has more space to make the food more evenly heated and saves time. 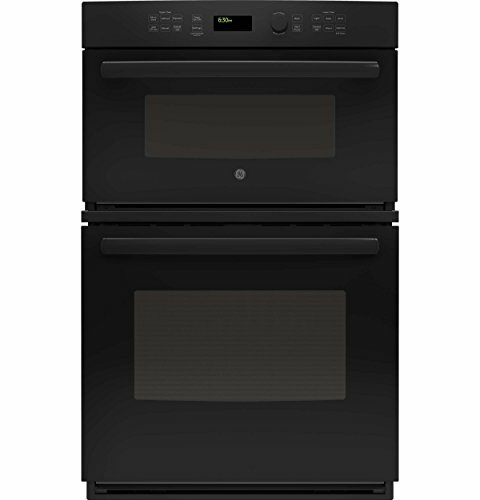 ➤ Uniform temperature – KUPPET ovens use insulated cotton and widened seals to enhance air tightness during cooking, with higher thermal efficiency and higher baking success rate. 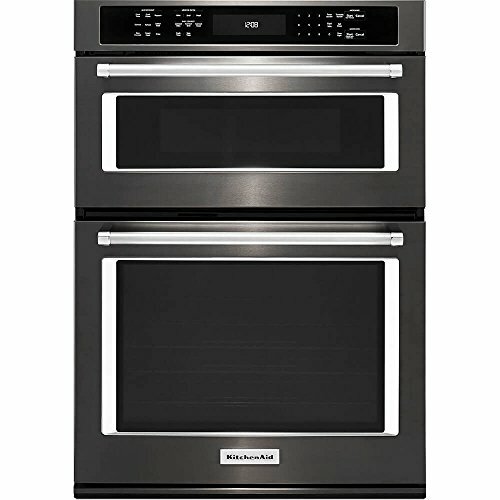 The 360-degree multi-flow hot air ensures thermal cycling in the oven, while the multi-layered food does not simmer or scorch. 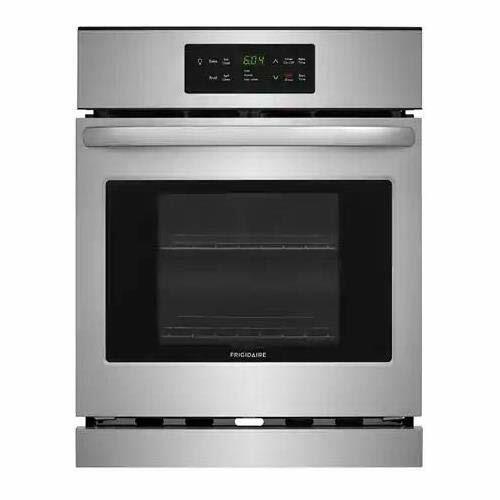 ➤ Specifications – This model has an internal oven light and forced cooling exhaust system, as well as 2.3 cubic feet of capacity and 2850 watts of power. Time control: 120 minutes; temperature control range: 50-250 degrees Fahrenheit; product size: 23.54 “L x 22.7″ W x 23.54” H.